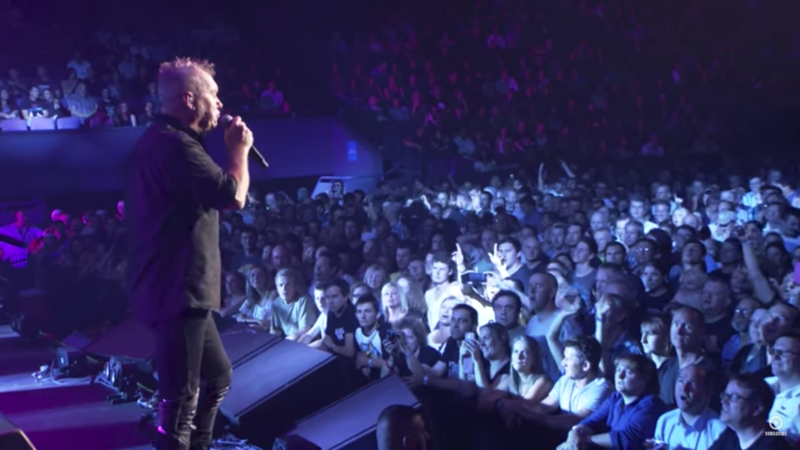 Jimmy Barnes is the heart and the soul of Australian rock & roll. After 40 years on stages of all kinds, Jimmy is an icon – his nickname “Barnesy” conjures up thoughts of rock music at an ear-splitting volume, and of soul standards given a unique reading. Jimmy has been through it all, and lived to tell the tale and that has earned him a place in Australia’s heart and heartland. Along the way he has sold more records in Australia than any other domestic rock & roll artist. Jimmy’s live shows are legendary for their intensity. In 2016, Jimmy finally told his tale in an autobiography, Working Class Boy, which was a #1 bestseller and won the Australian Book Industry Award (ABIA) for ‘Biography of the Year’. Jimmy’s 2nd memoir, Working Class Man, will be released on 23 October 2017. James Dixon Barnes of Glasgow via Adelaide was just 16 when he joined the band Cold Chisel in 1973. Raised on tough soul music and gutsy rock, Jim bought his monumental passion and a versatile vocal style to Chisel. The five-piece band quickly established themselves as a raw, bare bones rock & roll outfit. By the time they signed with Warner Brothers in 1977, they were the most powerful live act in the heyday of Australian pub rock. A big part of Chisel’s appeal was the fury, the wit and the danger that Jimmy brought to the stage every night. Fuelled by drugs and vodka, Jimmy was capable of anything on stage. As they say, at the end of the night he had left nothing on the table. 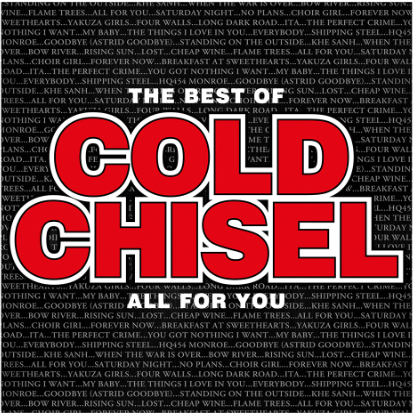 Cold Chisel released a series of classic albums including, East, Circus Animals and Twentieth Century. Many of their songs – “Khe Sanh”, “”Choir Girl”, “Cheap Wine”, “You Got Nothing I Want”, “Flame Trees” – are virtually national anthems. When Jimmy went solo in 1984 his debut album Bodyswerve topped the charts, as did all his albums for a decade. His 1986 album, For the Working Class Man, gave him a signature tune and it cemented Jimmy’s place right at the centre of this generation of Australians. They heard in his records their hopes and dreams and loves and triumphs. He spoke directly to and for them. The rewards were great but the cost was phenomenal paid in booze and drugs and an out of control lifestyle. The wildness that Jimmy brought on stage was nothing compared to what was in his head in those years. At the top of his game, by 1993 Jimmy was burned out. He and the family moved to Europe where he concentrated on writing and playing and regrouping. These were difficult years, struggling with his career and raising a family. The Barnes’ came back to Australia in 1996 and went back into the charts with the Best Of set (Hits Anthology) that featured the hit single “Lover Lover” written with wife Jane. A brief Cold Chisel reunion tour and album (The Last Wave of Summer) followed in 1998. Since then he has gone from strength to strength with critically acclaimed solo albums and his take on the classic songbook. Then in 2009, Cold Chisel reformed releasing two new albums, No Plans (2012) and The Perfect Crime (2015) and on the road with the Light The Nitro Tour in 2011 (which remains the biggest grossing tour ever by an Australian-based band) and 2015’s One Night Stand tour. Jimmy’s 2014 album 30:30 Hindsightcelebrated 30 years as a solo artist and featured international artists including ‘Miami’ Steve Van Zandt, Keith Urban, and Journey alongside local chart-toppers such as Bernard Fanning, The Living End, Tina Arena, Troy Cassar-Daley and many others. The following year Jimmy road tripped through the South, down to Memphis, Tennessee where he recorded the album Soul Searchin’, the fourth in a series of soul tribute albums recorded and released over a 25 year period. Then in October 2016, Jimmy launched his first book – Working Class Boy -debuting at No. 1 in Australia. If a book could be more raw than Jimmy Barnes in full flight, well, this is it. It’s the harrowing story of Jimmy’s childhood in Glasgow and then in Adelaide. It’s a tale of bad love, booze, domestic violence and sexual abuse. Jimmy writes with an unfettered emotional honesty. He tells what is often a dark story with as much light and shade, humour and honesty as is possible. In these vivid stories of growing up, we glimpse some of the forces that turned Jimmy into such an incredible performer. In early 2017, Jimmy released his first children’s book, Och Aye the G’Nu, inspired by his cheeky red-haired, blue-eyed grandson. The accompanying album was produced by The Wiggles’ creator Anthony Field. Jimmy has never been afraid to put his hands up for causes he believes in and works with a number of charities. Given his own experiences of domestic abuse and alcoholism, he has been very vocal on this, subjects when it’s appropriate. Through it all there has been touring – across Australia with his rock band and again with a soul band, acoustic shows and dates through Europe keep him playing for months every year. It’s the wildness of it all that keeps Jimmy Barnes grounded. Working Class Boy: An Evening of Stories & Songs won the Best Cabaret Production award at the 2016 Sydney Theatre Awards and Jimmy was nominated for a Helpmann Award in 2017 for Best Cabaret Performer.